I've been working on this post for several weeks now, and I'm sure I still missed something, so don't hesitate to leave your comments, tips and questions in the comments! There are so many great planning websites out there, as well as apps that make your trip run smoothly. So, where do you start? 1.) Pick the time of year you want to go and then consult the crowd calendars on EasyWDW.com. I used these calendars to pick the week we were going (which was at a 4) and the parks for each day. 2.) Read up on the planning resources at WDW Prep School. Shannon has a TON of great information! You can find all sorts of resources on her site. 3.) 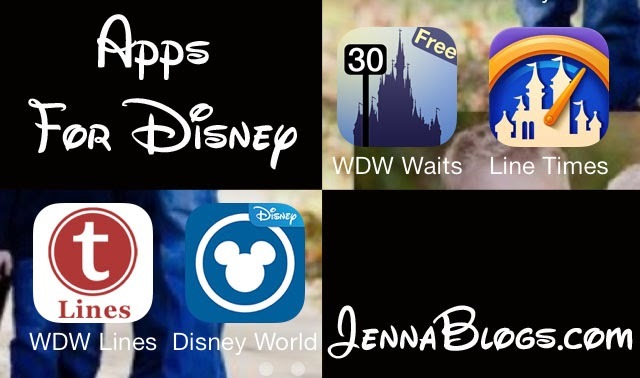 Install a couple of different WDW Wait Time Apps. Below are some of my favorites. I did subscribe to Touring Plans but ended up not using it. 4.) Do use the official Disney app (pictured below, it's the blue background with the white Mickey). It keeps all of your reservations and reference numbers in one spot and plots everything out by the day. 5.) This isn't an app but DO print off a countdown calendar for your toddler! No need to spend a bunch of time or money making one - I've done the work for you. Just click here to print out your Disney World OR DisneyLand calendar. If you missed my post on Dining At Disney, click here to see where to eat (and where NOT to eat!). Do buy your tickets before your trip. I bought mine at our AAA office (they have them cheaper than the park sells them for). We also got a free Diamond Lot parking pass. The Diamond Lots are with the handicap parking. We always got a parking spot right up front! Different people view this different ways but we knew we wouldn't be doing more than 1 park per day, so we just bought base tickets. You can upgrade for a fee to the Park Hopper tickets, which will let you enter multiple parks per day. 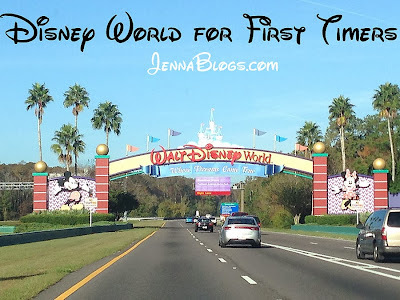 I had our trip planned out so that we visited each park 1 day except Magic Kingdom which we visited twice (the first and last day of our trip). Do consider that going from park to park isn't quick or very easy. You're probably going to spend at least 45 minutes leaving Park A and getting to the parking lot of Park B. Tip: Keep a folder with you that has all of your reservations printed off, including your ticket receipt, your flight info, hotel info, car rental AS WELL AS crowd calendars, parade viewing maps and extra stroller tags (mentioned below). A lot of sites recommend a binder, but they are too cumbersome! This seems to be the number one question I see being asked. It was my number one question as well! The last time I was in Disney World was when I was 10 (we visited DisneyLand more frequently) and we stayed at the Contemporary resort. The great thing is that it has direct monorail access. The not so great thing is that Chef Mickey takes place downstairs, and the Contemporary is built like an Embassy Suites - one big square with all the rooms having open access to the downstairs. That means it gets realllllly loud every morning at 6 or 7. This time, Chris and I decided to stay offsite. We ended up being able to book a condo at a resort with our credit card points. Since we didn't really plan on taking this trip until about 2 months before we went, we did our best to keep expenses to a minimum. We had a 3 bedroom condo which worked out well for our family. If you are looking for a condo resort I wouldn't really recommend the one we stayed at, but I would recommend Bonnet Creek. 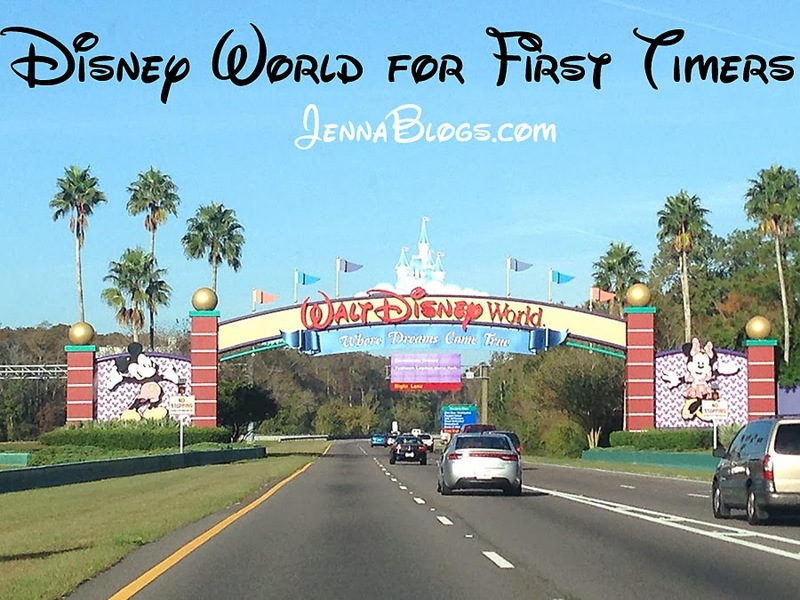 It's by far the closest resort to WDW and I've heard great things about it. However, after experiencing being both on and offsite, my recommendation would be to stay onsite. Next time, I think we will look at the Art of Animation resort because I like the room setup better than the other onsite hotels. They have a separate bedroom and living space. If having everyone in your family stay in one room with 2 beds is not an issue, then I'd pick one of the 3 hotels with monorail access (Polynesian, Contemporary or Grand Floridian). Tip: You can take a soft sided ice chest into the park filled with your own drinks and snacks! Take advantage of this because everything inside those doors tends to be expensive! While I didn't subscribe to the Pinterest trend of custom Mickey Mouse shirts for each day of our trip (and more power to you if you want to do that - I think it's super cute!) I did want to have a custom autograph book made for each of my boys. 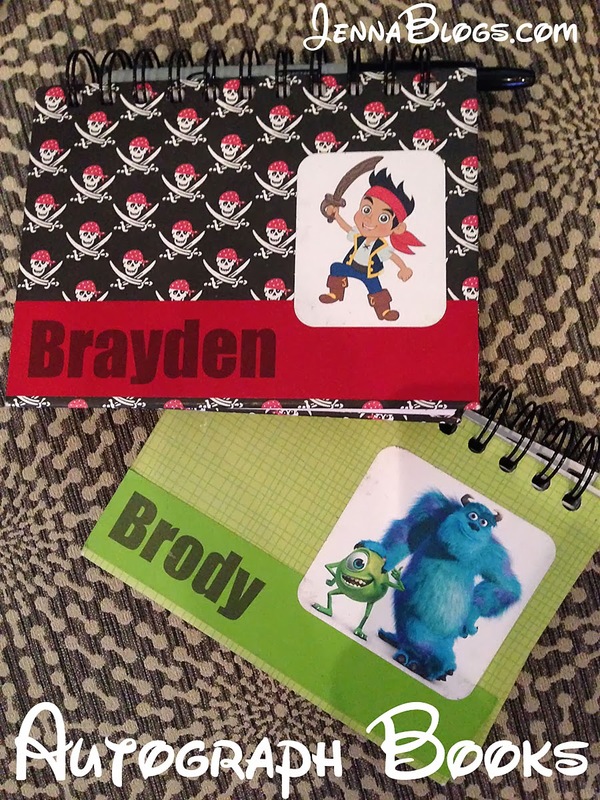 I let them pick their favorite character and then ordered them from someone way more crafty than I am on Etsy. Tip: My friend Melissa shared this tip with me and she was 100% right. Take a clickable sharpie pen for the characters to use. They don't have their own pens and these pens are much easier for them to use! Fast passes stumped me. I really didn't understand how they worked at first. It was one of those things I meant to read up on but ran out of time. So here is the cliff notes version. Most rides (every ride, possibly) has 2 lines: a "stand by" line and a "fast pass line." You've probably heard that some rides have notoriously long lines, Toy Story Mania at Hollywood Studios being the most infamous. 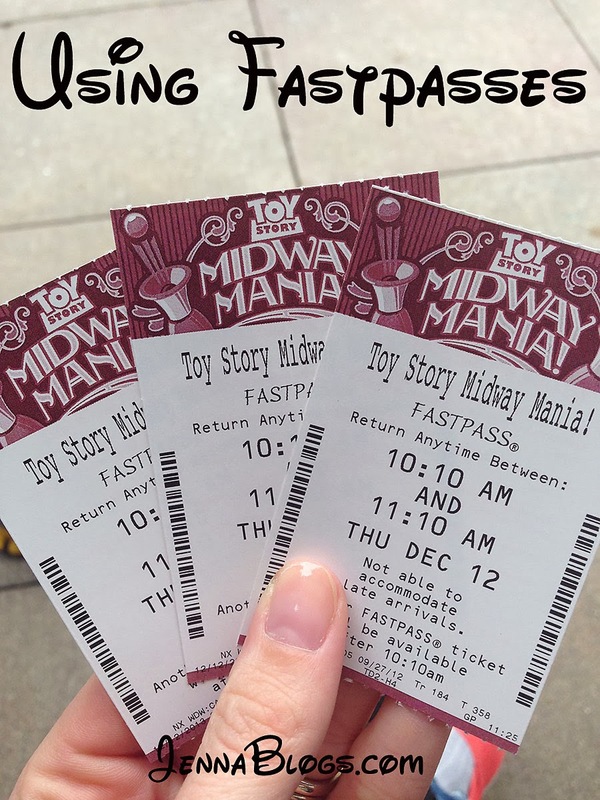 I checked my wait time apps every day, several times a day before our trip just to get an idea of what lines were long and Toy Story was always a minimum of an hour wait! So here's how it works. There are machines nearby the rides that you can scan your park ticket or band with and it will give you a fast pass. Above the machines is a return time. So, in the picture below, Chris got our fast passes at 9am and the return to the ride time was between 10:10 and 11:10 am. During that time frame, we return to the ride and enter the fast pass line. So instead of waiting the stand by time of 90 minutes (what it was when we got there) we waited about 10 minutes. You can only have ONE fast pass per person (ticket) out at any time. Once you enter the fast pass return time (so, in this case, 10:10am) you can get another fast pass for a ride. There are also some fast passes for meeting characters. You just have to read the sign over the machines to know. Tip: Have a little one that is too small for a ride? Ask the cast member who stands at the line entry for a Rider Swap. Send Parent A with your child that is big enough (or by themselves!) on the ride, and when their done you get to get in the Fast Pass line without a Fast Pass by using your Rider Swap ticket. You can even take your taller child with you again! It's easy to spend a fortune on Disney souvenirs. A lot of things are ridiculously priced but some are fairly reasonable. The only must have that was on my list would be Mickey ears! You can find them at the Le Chapeau on Main Street. 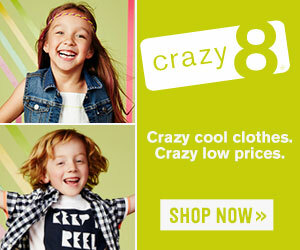 You can also order them online but that takes some of the fun out of it. We didn't do Tinker Bell gifts but a lot of my friends have and their kids loved it! If you have no idea what I'm talking about check out this link. Tip: Buy your ears at an odd time of day. We went around 3pm, walked right in, had no wait and then ran across the street to the Emporium while they were being embroidered. 15 minutes later, they were ready! We also purchased some cool Sully and Mike sweatshirts that the boys LOVE, swords from Pirates of the Caribbean, light sabers from Star Tours, and several other things. 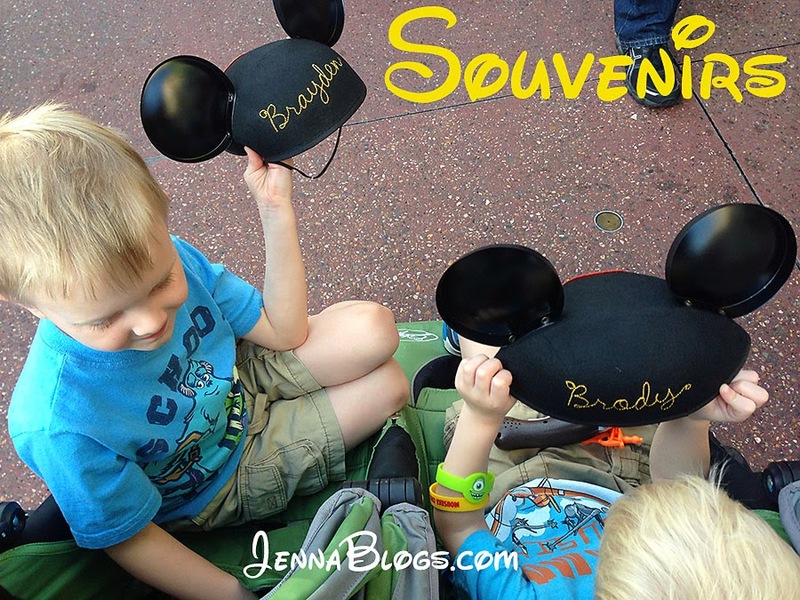 We tried to make our souvenirs something that would bring back fun memories from their favorite rides or spots, and something that they would get a lot of use out of. Why did I want to rent a stroller when I have a perfectly good one at home? Well, there are a few reasons. One, we rented an SUV. We have enough experience with car rentals to know that what they tell you that you're getting is almost never what you end up with. So, we expected a Jeep Grand Cherokee and ended up with an SUV half that size. So, had we brought our own double stroller along with our luggage, it never would have fit in the car. Also, I once took my Maclaren on a trip to Lake Tahoe. When it got there, they had ripped half the handle off of my stroller. That was a costly lesson. Another thought I had was what if someone were to steal my stroller? I would have taken our BOB and I can't imagine having to replace it. So, we decided to rent. We used Magic Strollers because several of my twitter friends had used them and recommended them. It costs $25 for the first day and $12 every day thereafter to rent a Citi Mini Double (single strollers are even less). We also purchased insurance (I think it was $25?) in case it was lost, stollen or damaged. The best part is that they brought it to our resort and they picked it up. 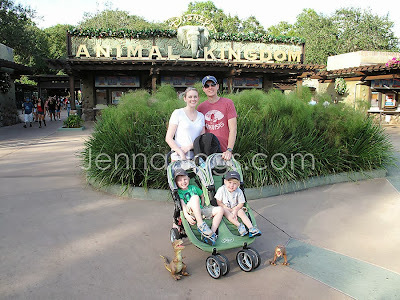 You might be thinking, what about the strollers at Disney? I wouldn't recommend them. I saw more than one argument ensue between parents who didn't want to push the blasted things. They were awkward, large and appeared very difficult to navigate. Also, the cast members will move the strollers around and you can just take any of the regular Disney ones from whatever ride you left. I've heard horror stories of people having their things removed by cast members because they needed a stroller and they had to go to lost and found to retrieve their items. Tip: Most stroller rentals (including the ones at the parks I believe) come with a 4*6 clear plastic tag holder. You can make your own and put it in the holder to identify your stroller. I made one for us that had a bright red and white chevron background and a black and white Mickey head with our last name on it. It really stood out and separated our stroller from the others. You can also tie a balloon to the stroller which helps it stand out in a crowd!